A child ridiculed for his weight, a son overshadowed by a favored brother, a husband who falls short of his wife’s ambitions, an old man with a broken heart… As Orbits’s life passes, he doggedly pursues a simple dream — a little place in the country where a family might thrive — while wondering if he can ever shake free of the tragedies that seem to define him. 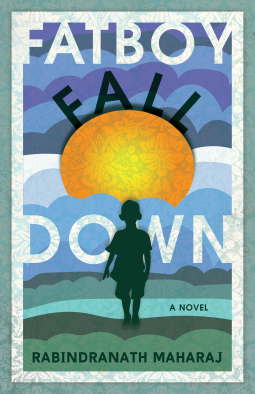 Fatboy Fall Down is the lush and heartbreaking musings of a man trying to understand his place in the world. Though shot through with sadness, Fatboy Fall Down is also full of surprising moments of wry humor, and Rabindranath Maharaj's deft touch underscores the resilience of the human spirit.